The 2008 film “Bronson” starring Tom Hardy was the calling card film for director Nicolas Winding Refn’s as it received a hand full of awards and rave reviews. He initially drew a small cult following with his “Pusher” trilogy of films about a gritty and brutal drug dealer. 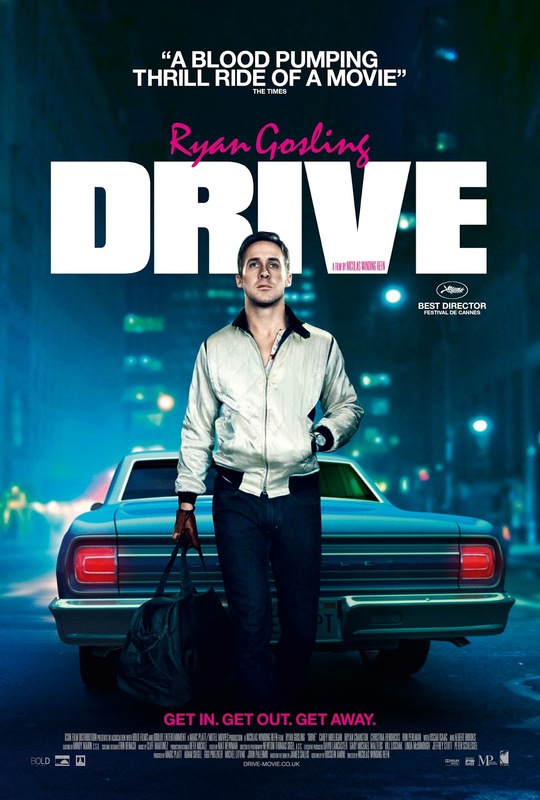 “Drive” in 2011 marks his first major studio film with a wide theatrical release. Boasting an impressive cast, Ryan Gosling stars as “Driver” a mechanic and stunt driver by day and a for-hire wheelman by night. He’s a cool and quiet dude sporting a flashy silver jacket with a scorpion on his back. With its 80s style Euro synth score by Cliff Martinez, “Drive” has a unique feel and aura to it. Set in downtown Los Angeles the opening scene shows the Driver at work. Evading the cops while being the getaway man for a couple of small-time thieves. The atmosphere is electric as he darts up and down alleys and freeways and is finally able to freely walk away from the consummate professional. The Diver then becomes involved with Irene (Carey Mulligan), the single mother of a little boy named Benicio, who lives next door. Her husband Standard is serving time and is in debt to some mafia guys. The mob big shots are Bernie and Nino played by Albert Brooks and Ron Perelman and in typical movie fashion, they own a pizzeria as a front for there activities. The Driver works at garage repairing the car for Shannon (Bryan Cranston) who also has a history with the mob guys, and has paid his debts. This group of characters all intermingles in a story about masculinity and drive (the motivational kind). The Driver is a man of few words, an anti-hero with good intentions. He lives a solitary life and follows his own code of ethics. But when it comes to protecting Irene and Benicio from the mob, it drags him down into some pretty dark emotional places. When Standard is paroled he comes home to Irene and Benicio, leaving the Driver out in the cold. Although when Standard asks for his help to repay his debts, he agrees. When things eventually go south, the Driver finds himself in a life or death situation. The Driver is a man of action and when Irene and Benicio are threatened, he doesn’t take this lightly. Intensely brutal violence has also been a hallmark of Winding Refn’s films and we get plenty of here with Drive. The ending feels authentic as it doesn’t go for a stock Hollywood finale. It feels right but at the same time a little sad. It has you asking questions but in a good way. “Drive” did well when award season came around and it furthered the careers of Gosling and Refn. But only to be taken down a peg on their next collaboration in the completely unwatchable “Only God Forgives”. The Power of "American History X"
Ryan Gosling is "The Believer"